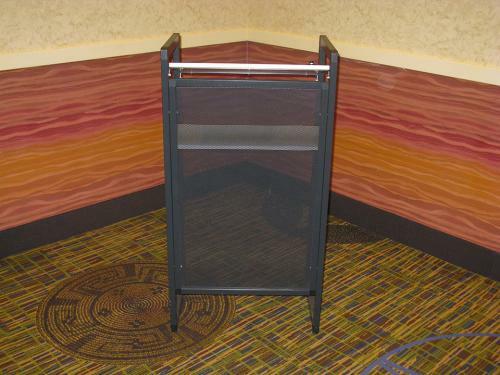 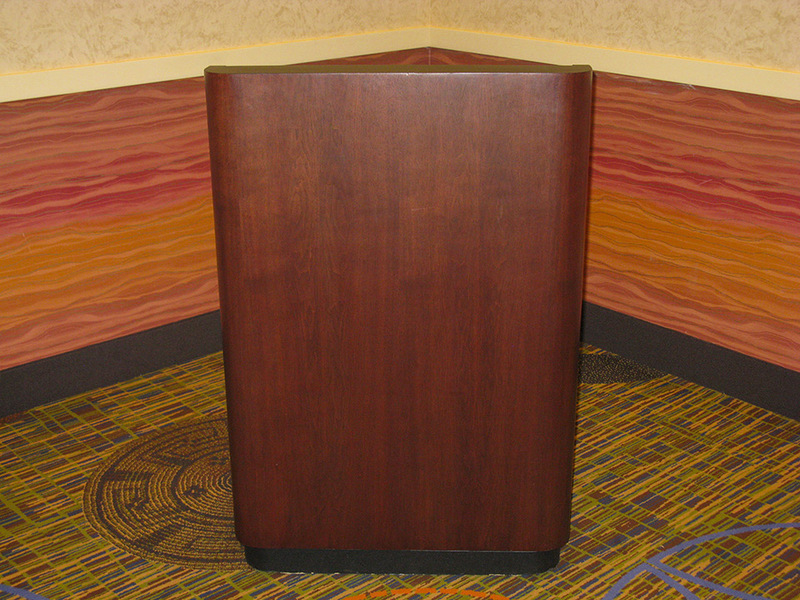 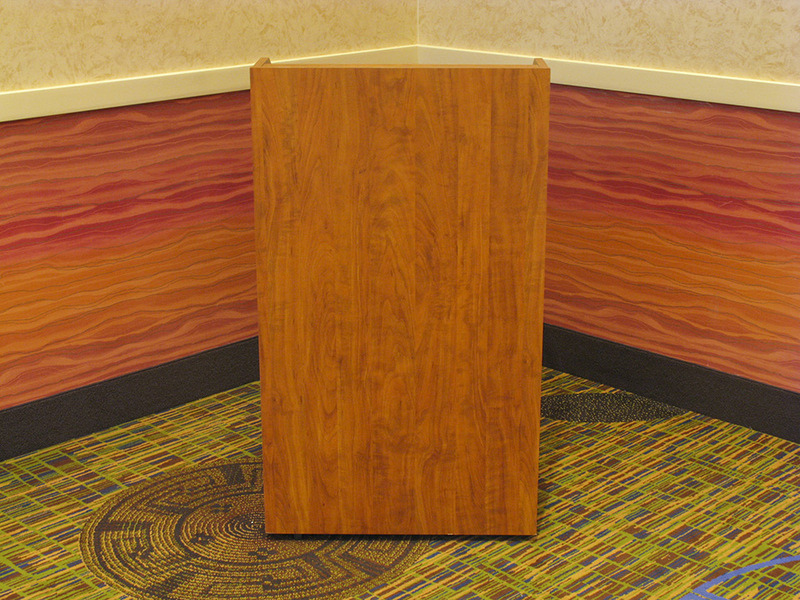 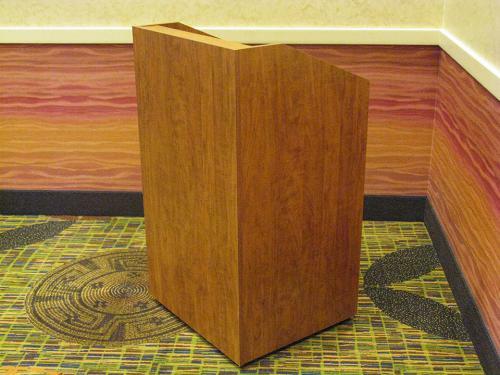 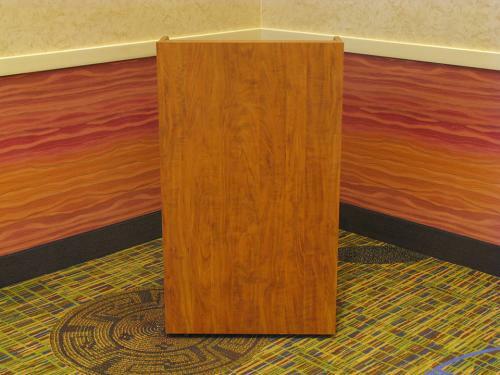 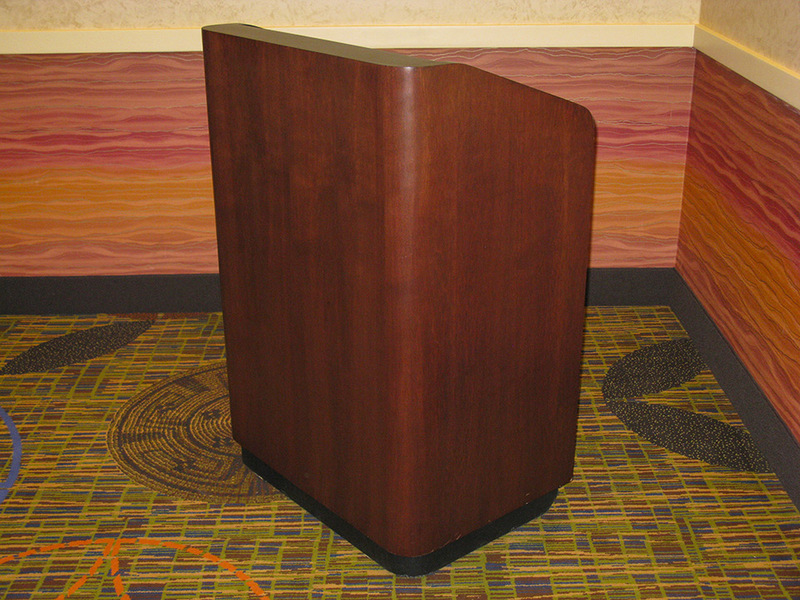 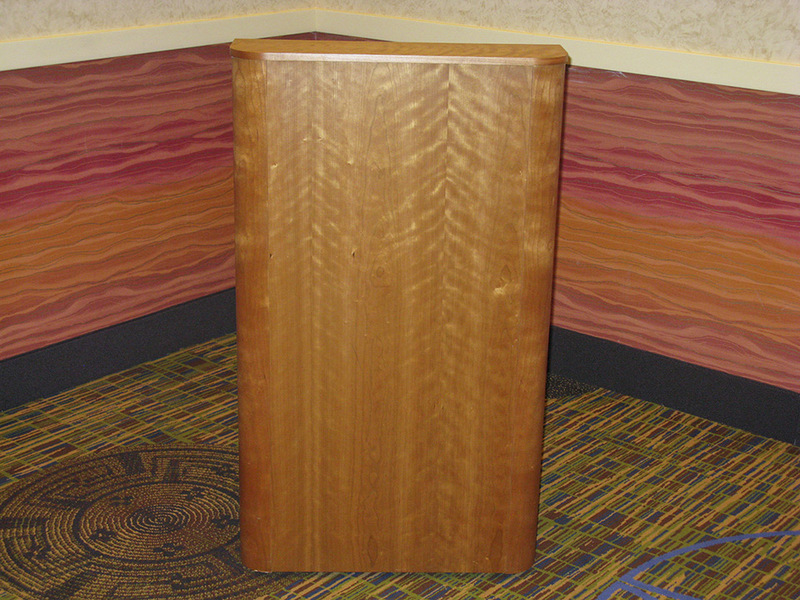 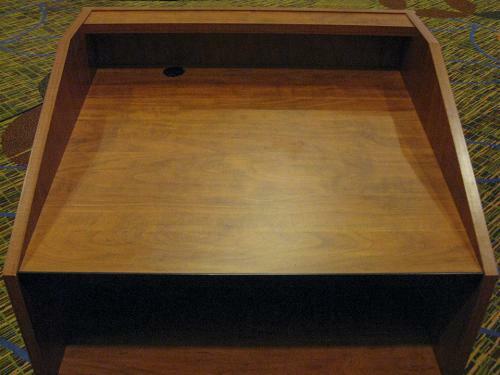 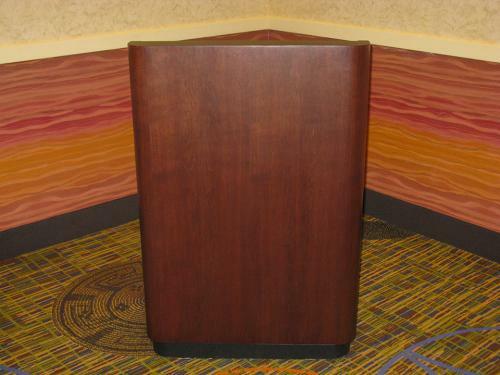 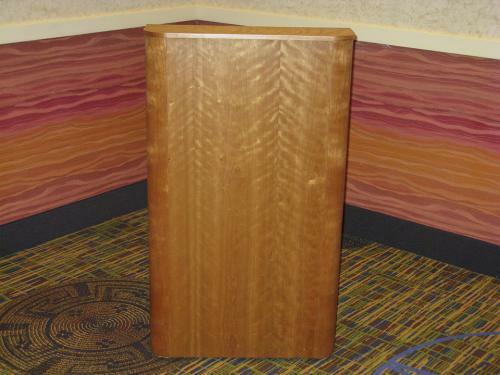 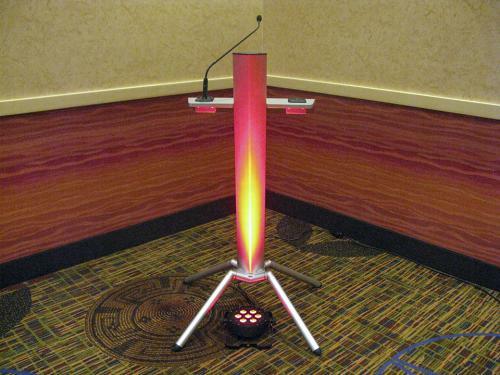 We offer a wide selection of podiums from classic woods to modern metals. Our Presidential Cherry Wood podium is a popular favorite while Oak Laminate and Black Walnut are also classical favorites. 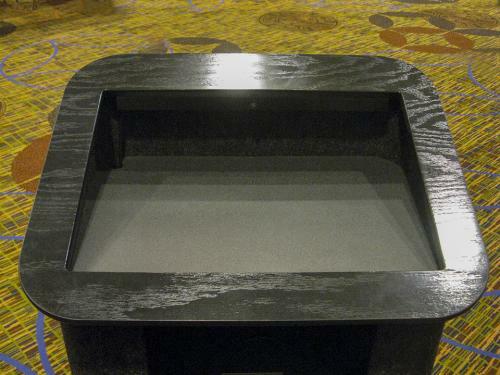 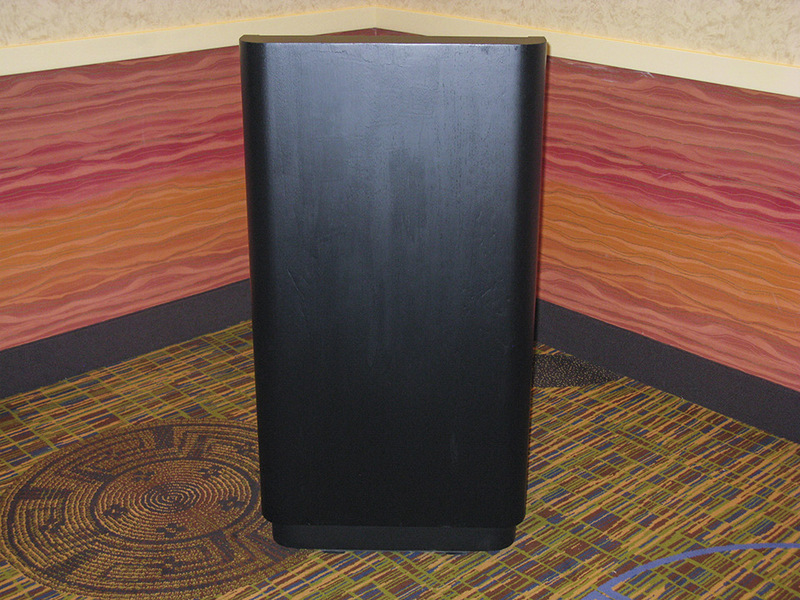 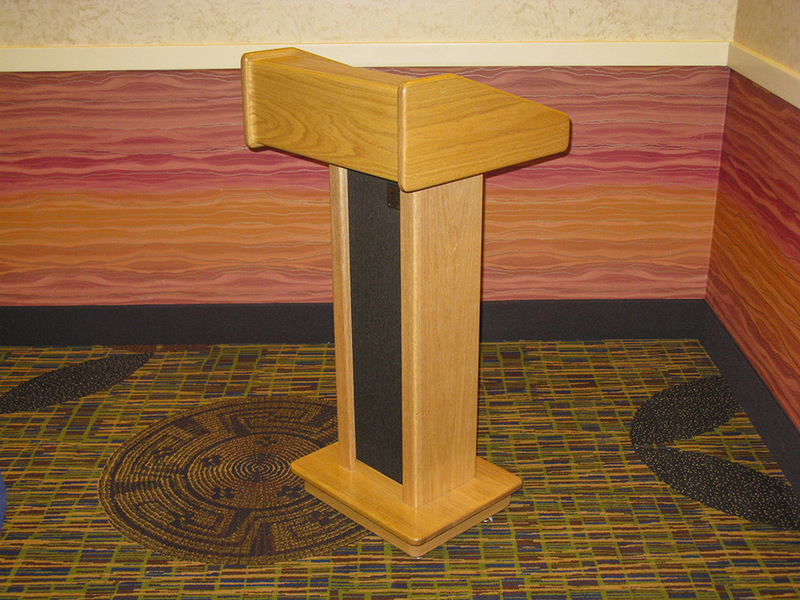 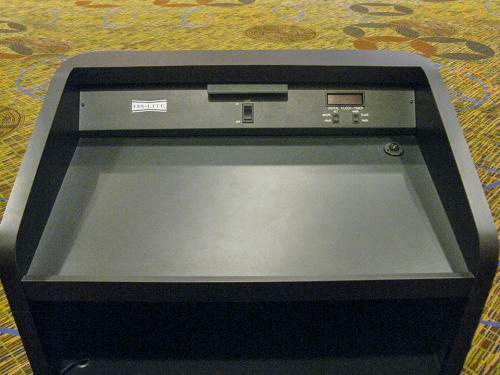 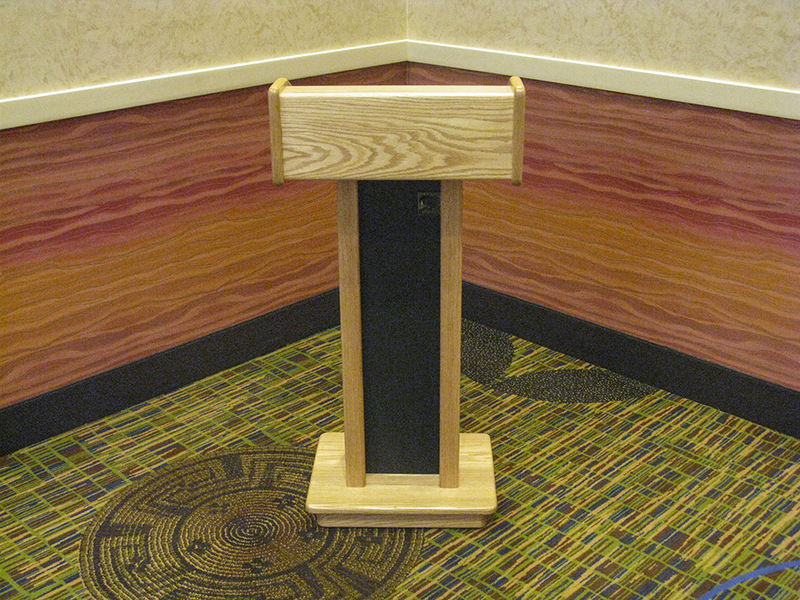 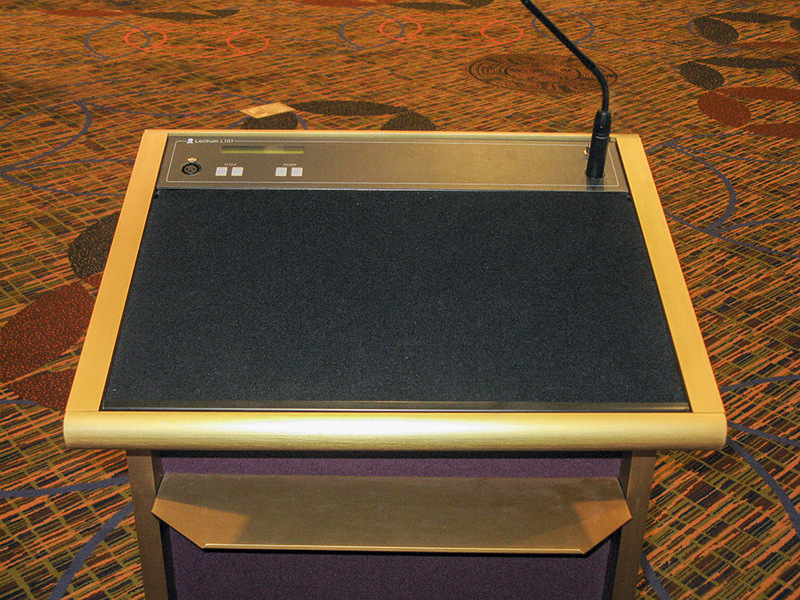 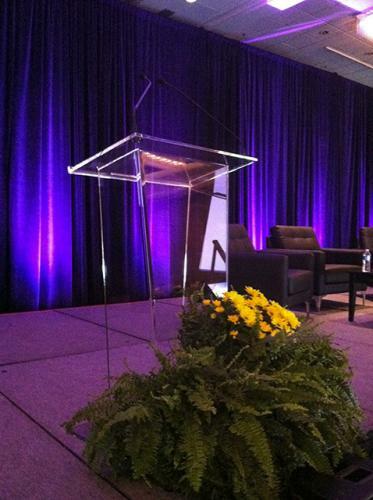 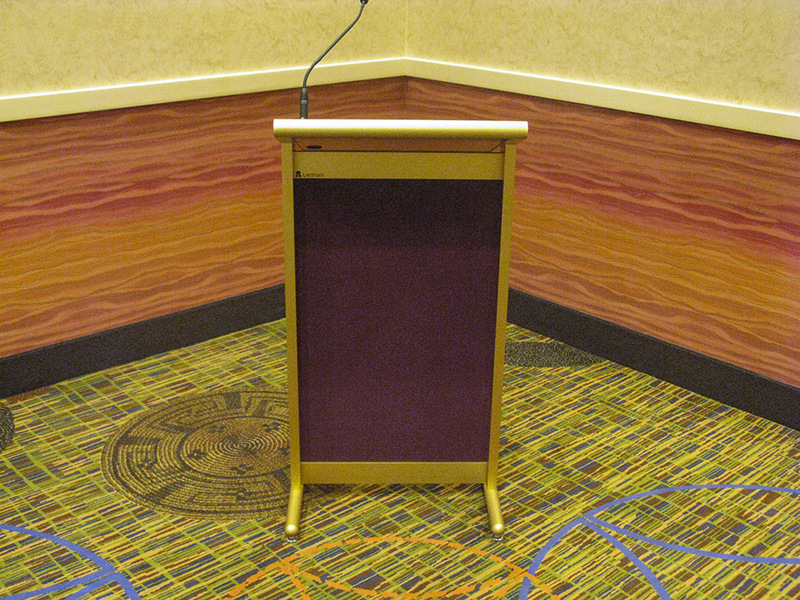 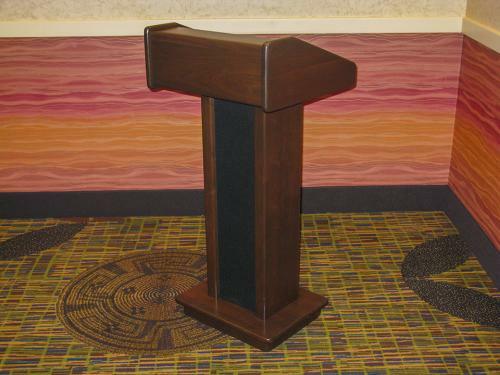 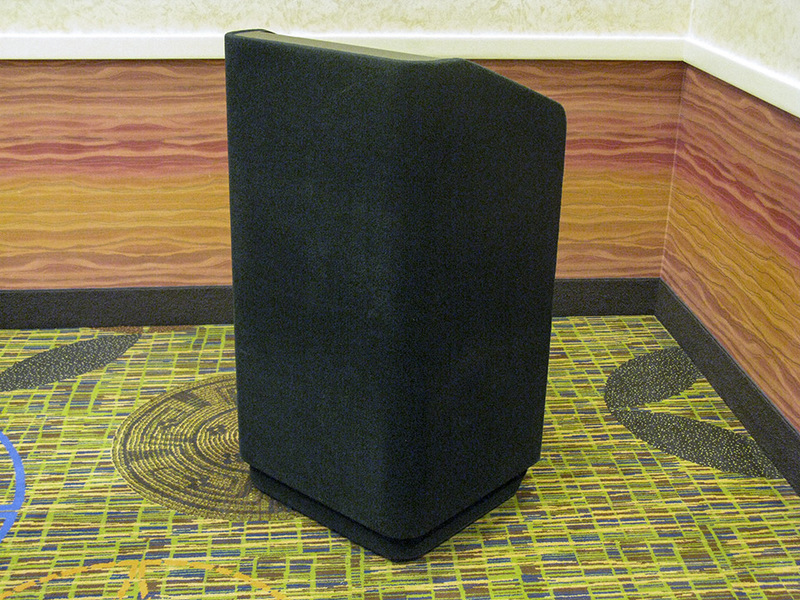 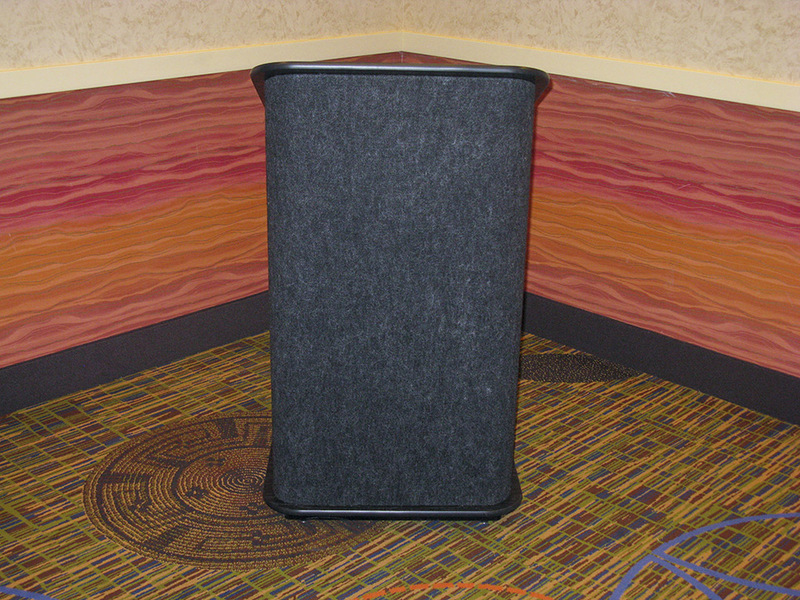 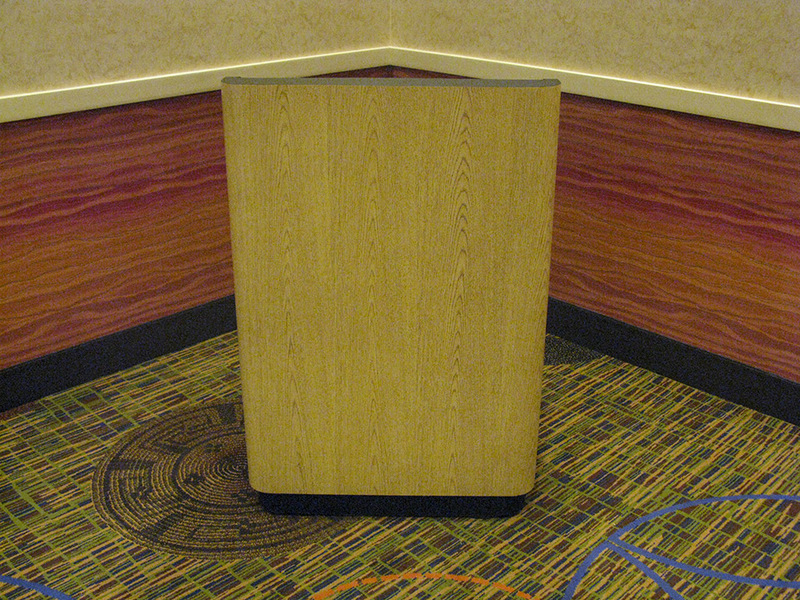 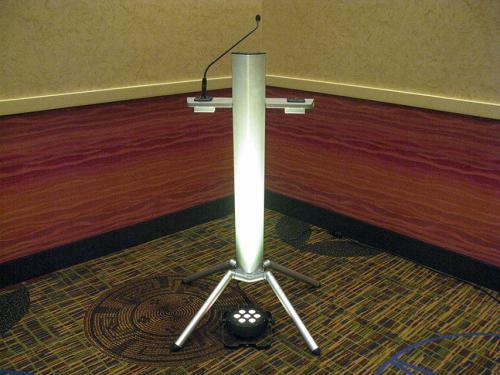 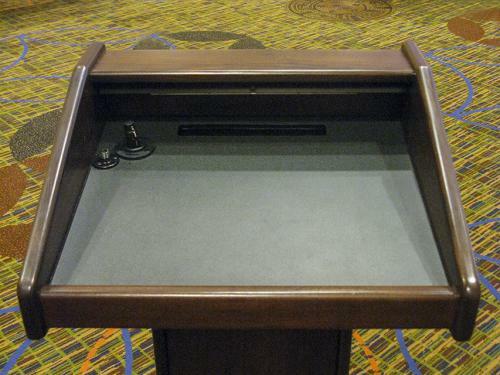 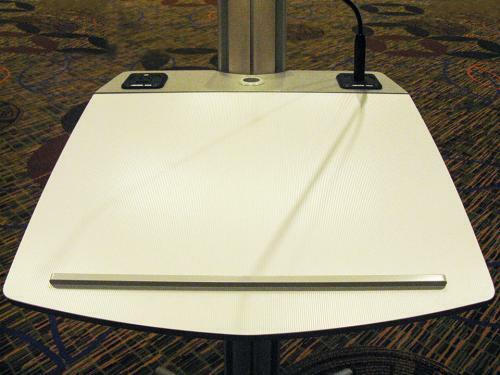 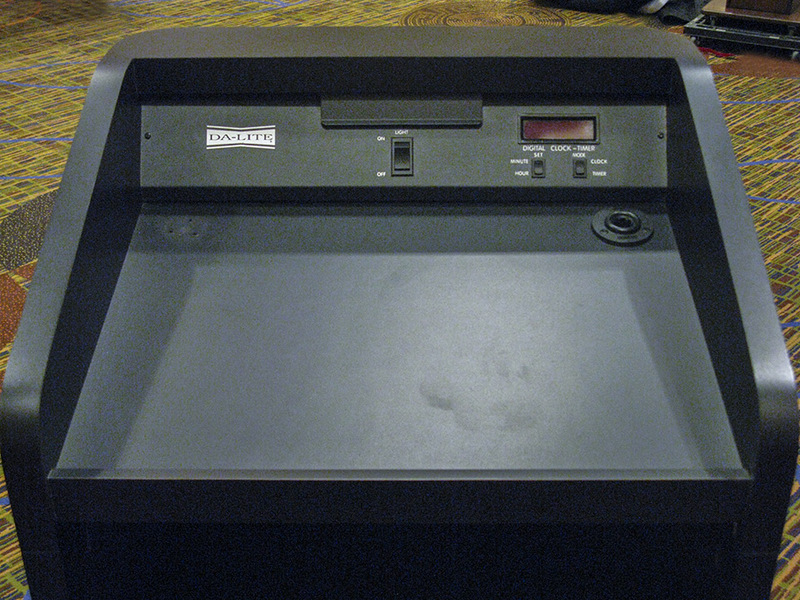 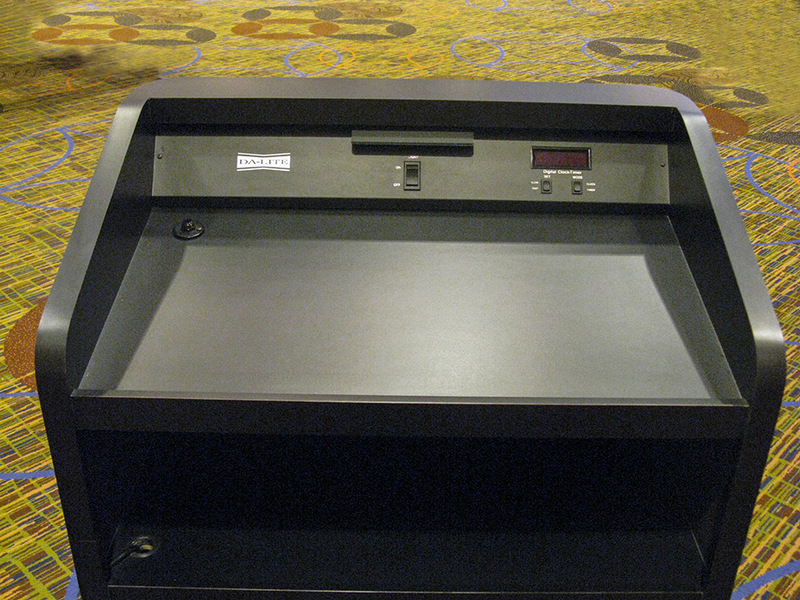 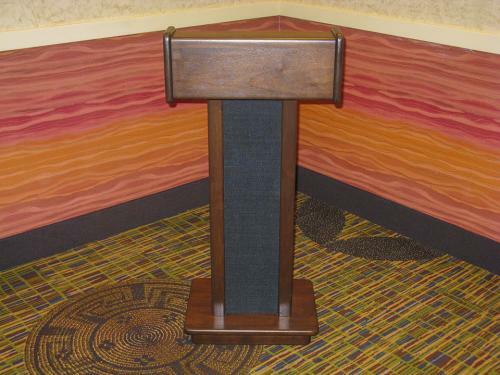 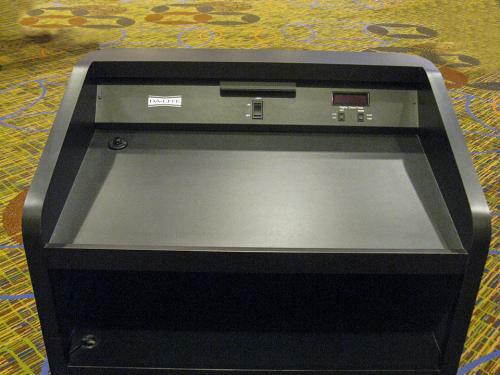 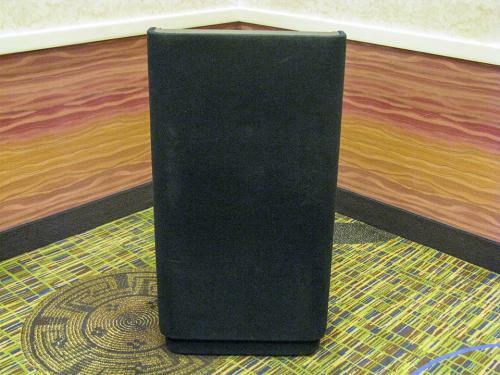 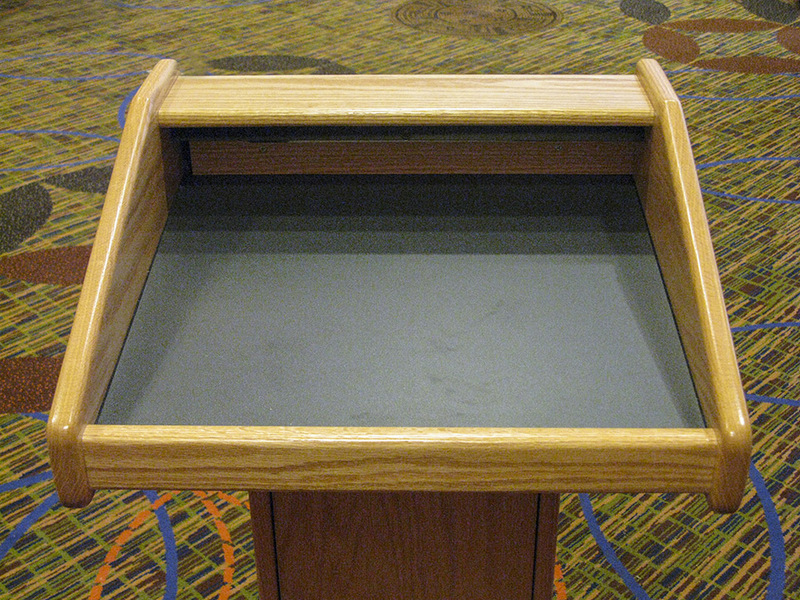 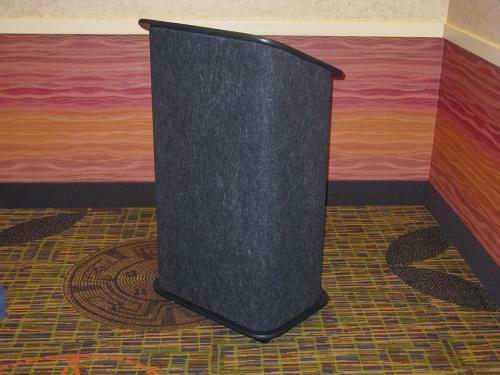 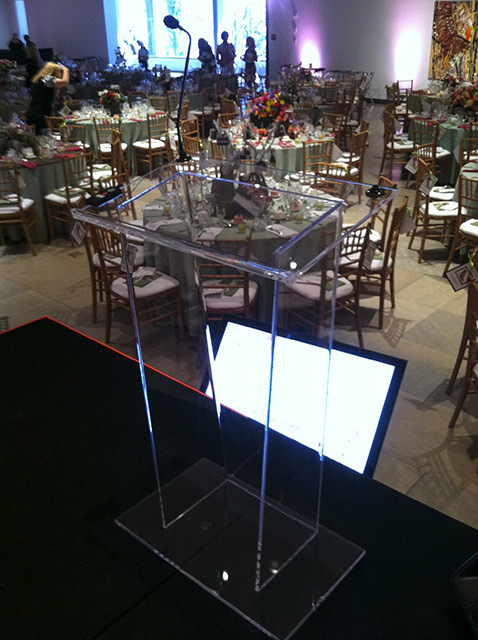 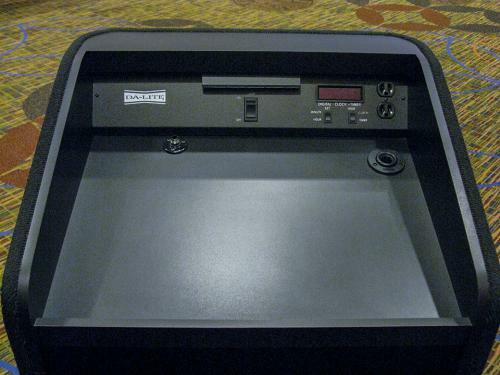 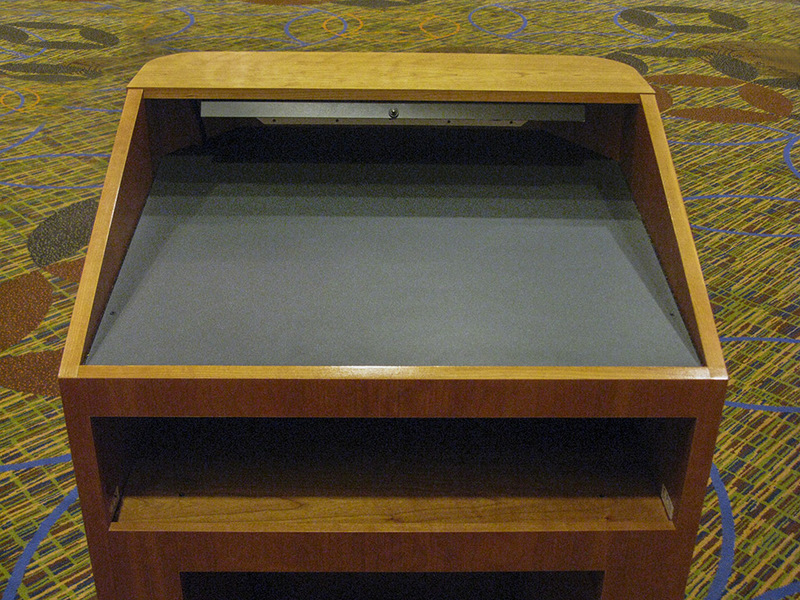 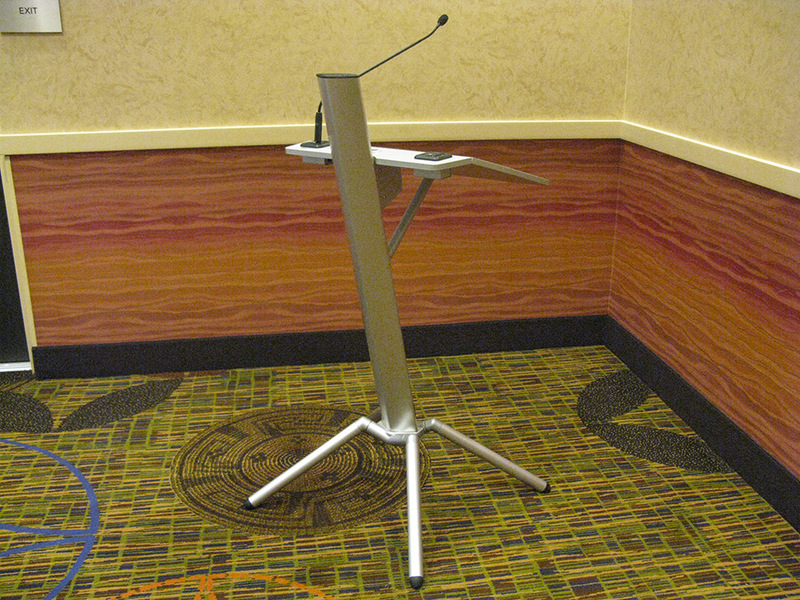 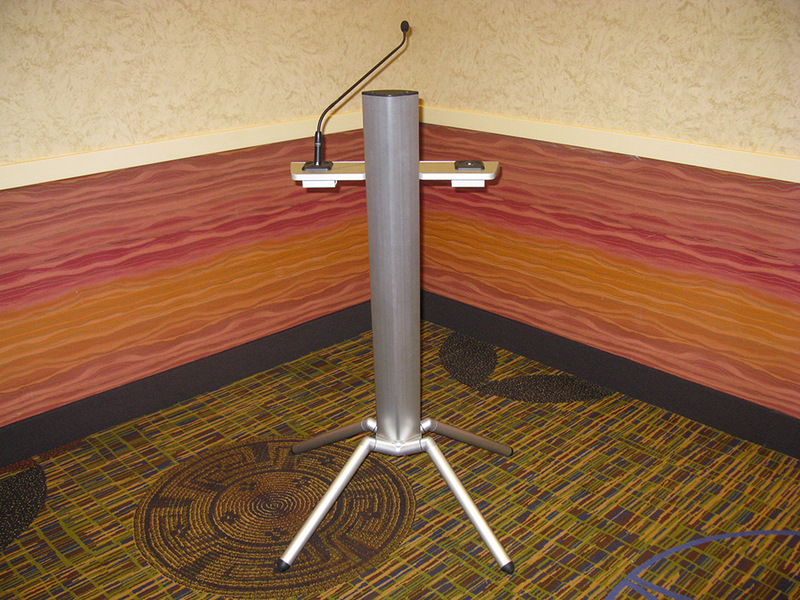 Carpeted podiums are available in black, charcoal and gray. 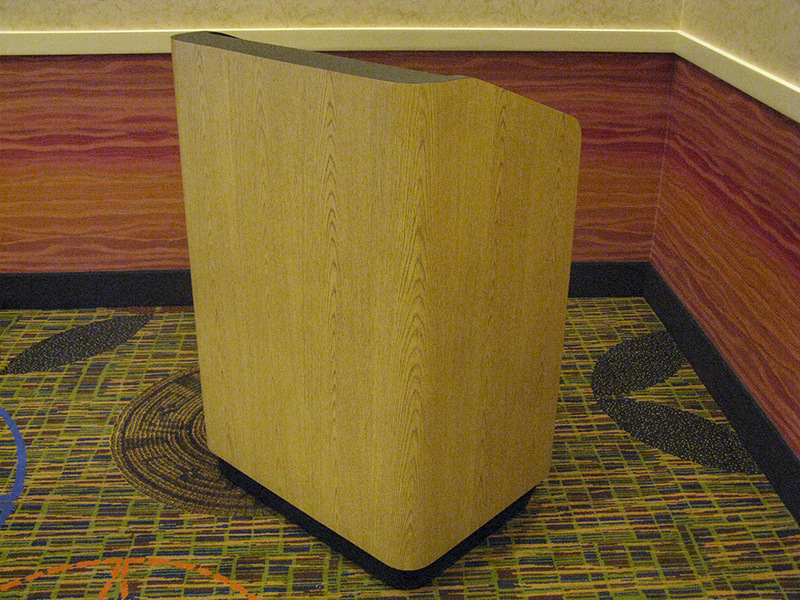 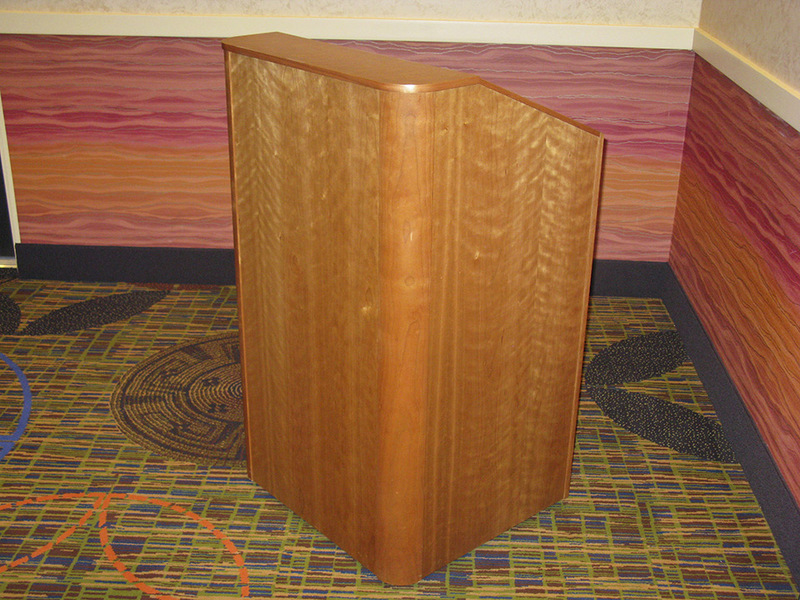 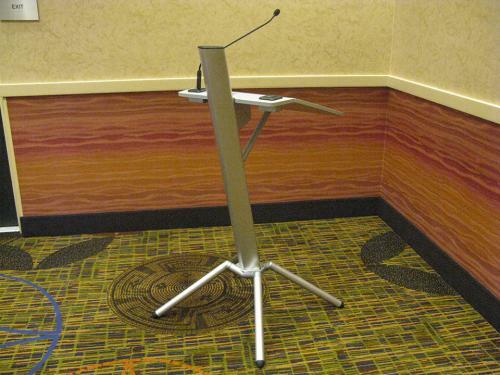 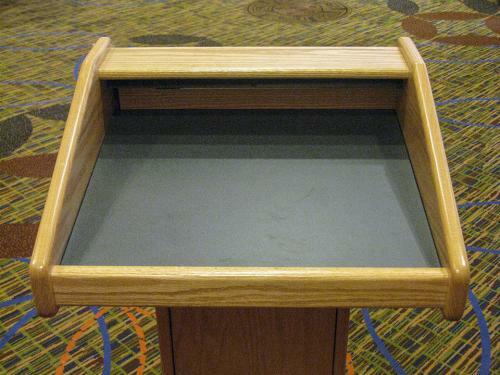 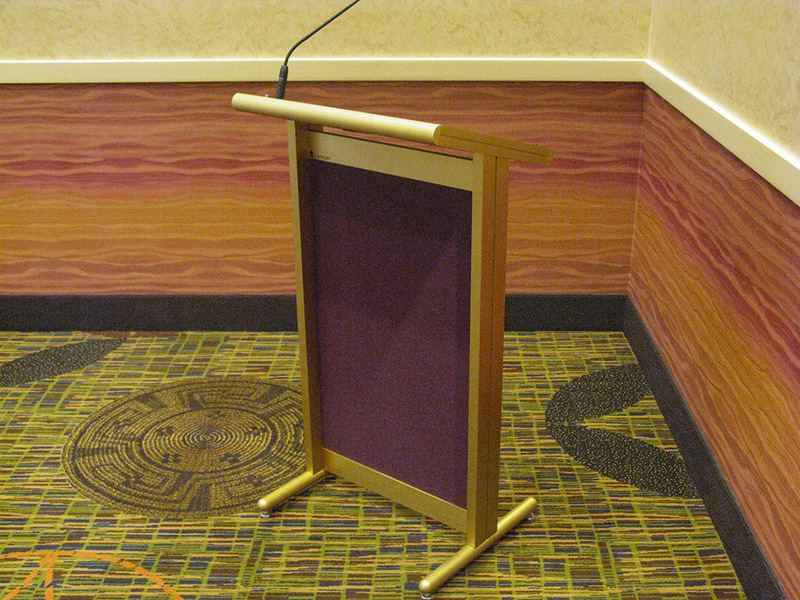 If you are looking for a more modern look we have brass lecterns in both straight and rounded corners. 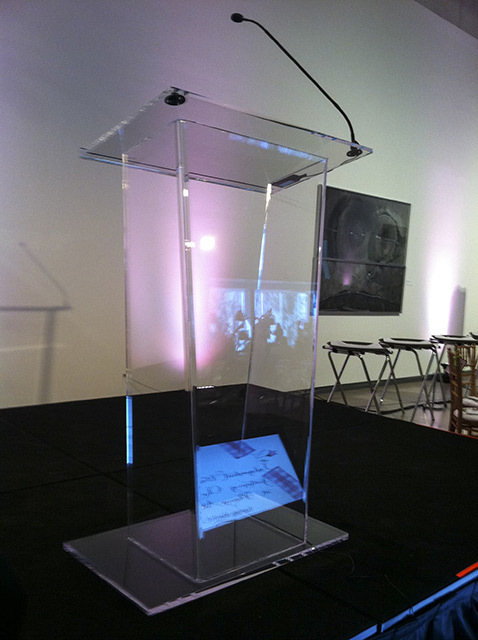 We use many Da-Lite podiums considered the industry standard, however, the latest addition to our line is the König & Meyer Ovation Pro, Clear Acrylic for that ultra-sleek look. Any podium can be fitted with microphones or we can mic you up with a lavalier. 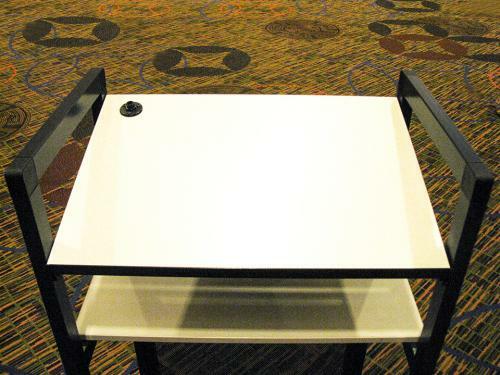 Hover over the photo to see description. 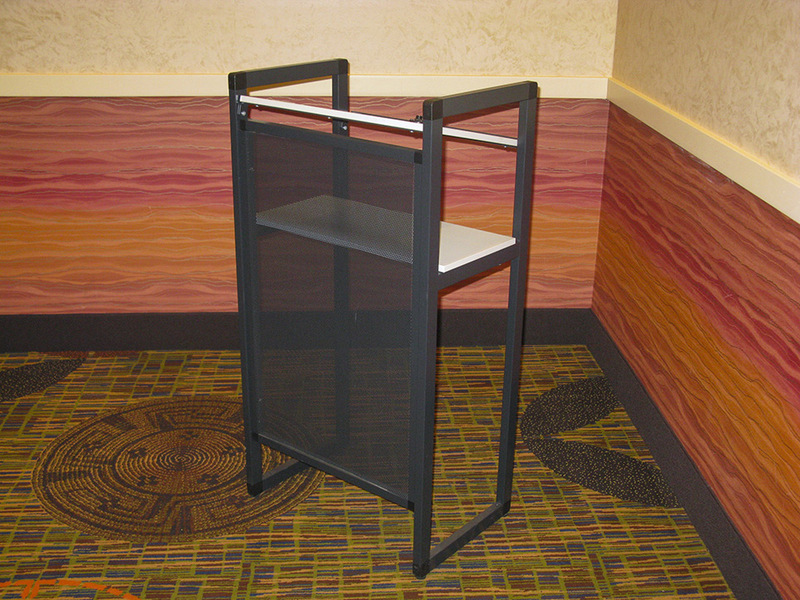 Click on an image to see detail view.